Rodez (French: [ʁo.dɛs]; Occitan: Rodés [ruˈðes]) is a town and commune in the South of the France, northeast of Toulouse. It is the prefecture of the department of Aveyron in the region of Midi-Pyrénées. Rodez is the seat of the Communauté d'agglomération du Grand Rodez, of the First Constituency of Aveyron as well as of the general Council of Aveyron. 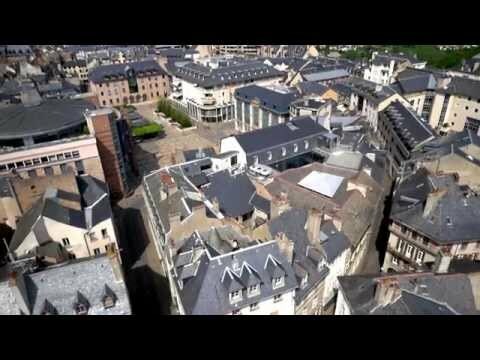 Former capital of the Rouergue, the city is seat of the Diocese of Rodez and Vabres. Its inhabitants are called Ruthénois, from the name of the Ruteni, a Gallic tribe which once occupied the territory, the former demonym of "Rodanois" (from Occitan rodanés) having given way to this scholarly form. 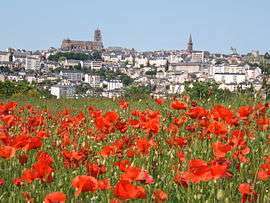 Located in the south-west of France, in the heart of the triangle formed by Toulouse, Clermont-Ferrand and Montpellier, in the western foothills of the Massif Central, the Rodez landscape is organised between the valleys and high plateaus of Grands Causses and the moist hills of Ségala. It extends into Grand Rodez, with the communes of Onet-le-Château, Sainte-Radegonde, Le Monastère, Olemps and Luc-la-Primaube, which forms an agglomeration of 83,000 habitants adjoining the city of Rodez. 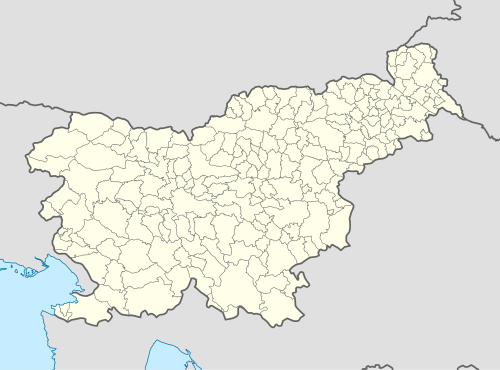 Rodež (pronounced [ˈɾoːdɛʃ]; formerly Sveti Lenart,German: Sankt Leonardi) is a village in the Municipality of Zagorje ob Savi in central Slovenia. The area is part of the traditional region of Lower Carniola. It is now included with the rest of the municipality in the Central Sava Statistical Region. The village includes the hamlets of Klenovik and Boriče. The name Rodež is derived from the common noun *rodina 'uncultivated land, fallow land', referring to the local geography. It is etymologically related to toponyms such as Rodik, Rodine, and Rodni Vrh. The local church is dedicated to Saint Leonard and belongs to the Parish of Šentjurij–Podkum. It has a Romanesque nave dating to the 13th century onto which a new sanctuary was built after 1350. The belfry dates to the 16th century.